When the holidays roll around, there are plenty of opportunities for restaurants to get in on the action. With shoppers out for extended hours and the holiday parties all over town, customers will be looking for good, high-quality food that is convenient and affordable. There is no better time of year for a restaurant to initiate special discounts and sales offers. If you are wondering how to promote these discounts and specials to your customers, it is not difficult. In fact, there are several ways to make people aware of everything your restaurant has to offer this holiday season. Social media is the online marketing tool that has the most potential. With the right content, you can craft posts on your favorite social media sites that stand out and get potential customers to pay attention. An added bonus is that you can do it for free. For a minimal cost, you can boost your post and get it out in front of more eyes. The cost for the boost is worth it though, because the potential payoff is huge. A huge benefit of using social media platforms is that you can put a variety of media in any single post. Whether you choose photos, documents, videos or interactive segments like surveys, you can create posts that promote your restaurant and the discounts you offer. Even better, a well-designed post can get shared and passed around to new viewers, which means that each message has the potential to go viral and really make an impact. Dollar for dollar and minute for minute, there is no potentially better way to get your message in front of more eyes than by using social media. While not as potentially flashy as an Instagram post or a Tweet, good, old-fashioned email is always a reliable digital tool. If you have cultivated a strong list of customer contact information over the years, then well-crafted emails can be quite effective. An email campaign can be effective because people who already know and appreciate all your restaurant has to offer will automatically receive a message. Why else would they give an email address? The people on this list have enjoyed your food before, and most likely will again. Another reason email can be so effective is that an email does not have to worry about the specific content or format restrictions of a particular online platform. This means that emails have the potential to say or do just about anything you want them to. You can also promote your holiday specials and discounts on your restaurant’s website. For many potential customers, the website is always the first stop. It is important that your site has all of the information a customer might need, including operating hours, directions, contact information and a full menu. Do not forget to include complete and up-to-date information about your latest holiday specials, events and catering options. When new customers are looking for these sorts of deals, the website is the first place they will go. So, it is vital to keep it up to date with everything they might need to know. If you do not already have a mobile app for your restaurant, invest in developing one as soon as possible. It is a fantastic way for your most loyal customers to stay connected with your restaurant. A mobile app is a great tool for marketing your holiday specials and discounts to your loyal customer base. Use the app to send out notifications and announcements of your most recent events and to reward your customers with special loyalty programs and online discounts in addition to those you have cooked up for the holiday season. A mobile app is the one marketing tool that can is personalize the holidays. Use the app in combination with your planned holiday event to create specialized discounts that appeal to each customer individually. Your holiday campaign can have the ability to energize your loyal customer base and remind them of how much they enjoy your restaurant and all it has to offer. Your seasonal specials combined with a strong online presence can be the driving force behind a strong start to 2018. 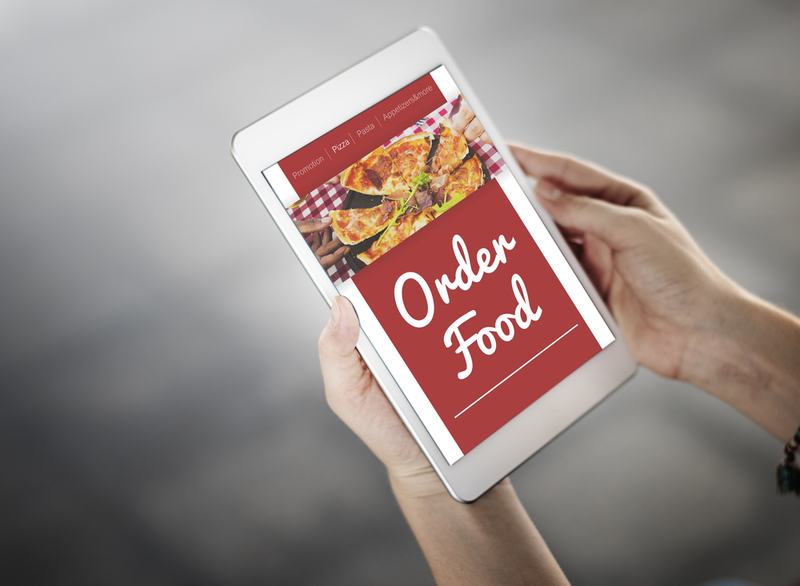 As the year begins, it will be important to remember to keep this momentum going strong by continuing to focus on your restaurant’s digital platforms well into the future.